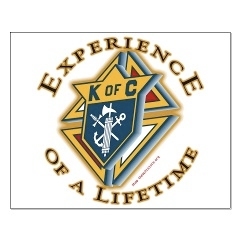 Membership in the Knights of Columbus is open to all practical Catholic men in union with the Holy See, who are at least 18 years old. A Practical Catholic is one who lives up to the commandments of God and the precepts of the church. If you meet these requirements and are considering membership in St John the Evangelist Council # 14842 application forms are available from any member or in the brochure rack in the front of the church. If you need more information email us at info@townsendkofc.org. Imagine being part of an organization that fills your heart and your mind with the joy of giving to others and the feeling that comes with making a difference. Knights are Catholic men who are committed to making their community a better place, while supporting their church. Being a Knight is more than camaraderie; it is being involved with your community; it is supporting your Catholic Church, while enhancing your own faith; it is about protecting and enhancing your family life.